For 1000 nights, Queen Scheherazade has told her stories of magic and adventure to the King. But now she's run out of ideas and needs help to finish her final story. 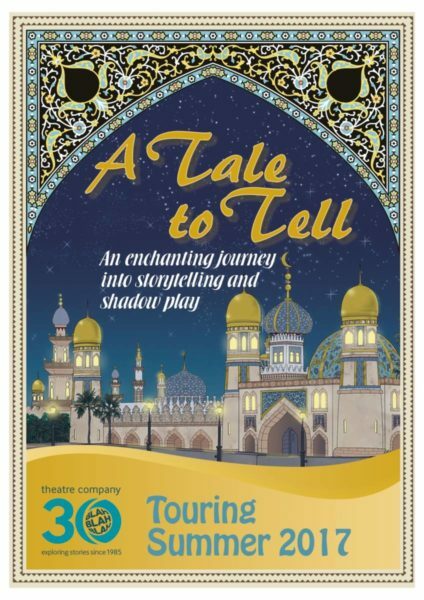 A Tale to Tell celebrates the rich world of Arabic storytelling, blending spoken English and Arabic with exciting shadow plays to tell familiar stories and to engage children in making up new ones. Inspired by the One Thousand and One – Arabian Nights and features storytelling in Arabic and English through shadow play and performance. Queen Scheherazade is in danger from the King and must tell him a story every night, so she has sent messengers across the land to find storytellers to meet with her secretly. In her garden the stories unfold inside a Bedouin inspired tent, where performers tell and act out stories from The Arabian Nights. The audience are drawn into the story through this secret meeting and children end up helping Queen Scheherazade to create a final story to tell the King and ultimately save her life! This participatory performance provides an engaging visual and linguistic stimulus for English and Literacy, particularly for children who speak English as an Additional Language, and is accompanied by online classroom resources that include tailor-made activities for the EAL learner. – Taken from the 5* review we received by Tarvin Community Centre from our 2016 tour at ‘Save the Family’ on May 28th HERE. Touring to primary schools, libraries and venues in May & June 2017. A Tale to Tell is a co production with the kind support of The Play House, Birmingham.